In scenario (c) above, again, there are a number of (different) legal risks to consider and address in a suitable contract. These include, who is responsible for defects in the goods / services, what is the commission structure and payment terms, what branding can or can not be included with goods / services, are there territorial restrictions on where the re-seller can operate, is the re-seller engaged on an exclusive or non-exclusive basis, and again, are there any restraints after the relationship comes to an end? The above are simple some very high level examples of risks which may arise when joining forces or collaborating with others in the ICT industry (or indeed any other industry). 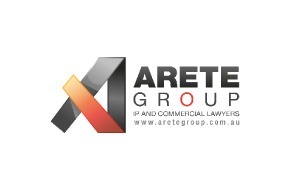 ARETE Group can assist you in identifying the legal risks in any relationship, and mitigating these risks through appropriate contractual provisions. Our specialist expertise in intellectual properly law means we are well placed to pre-empt legal issues which may arise if the ownership and/or licensing of intellectual property rights is not agreed and documented in a suitable contract.